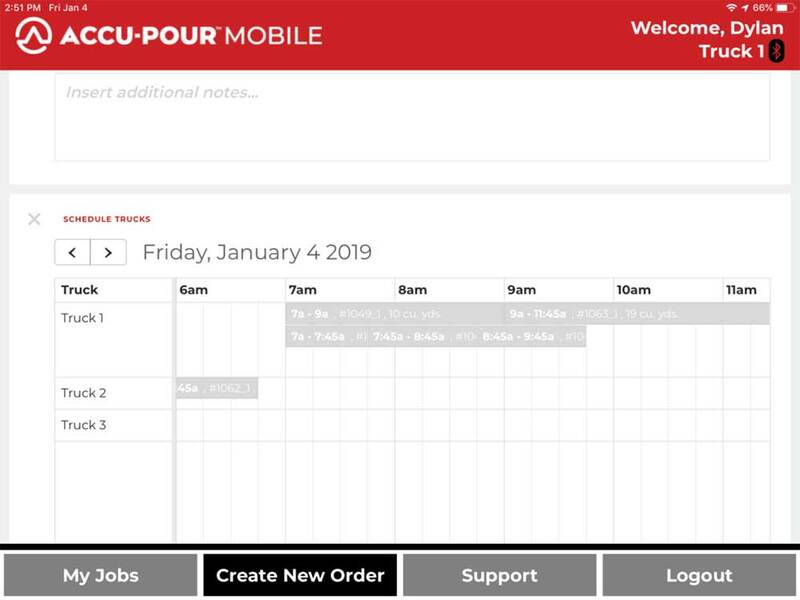 ACCU-POUR is a suite of productivity solutions that provide concrete producers intelligent mixers to help grow and scale their businesses profitably. 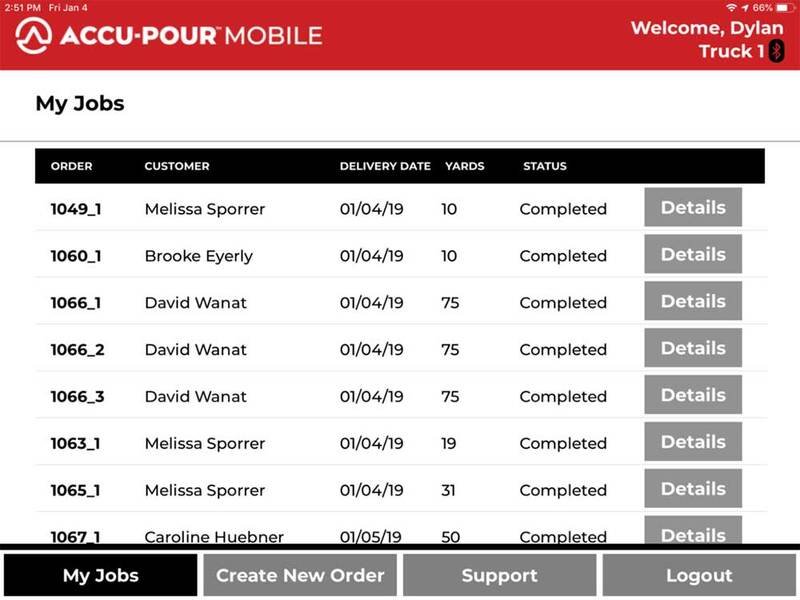 The ACCU-POUR suite can make an impact in every size operation, wireless and cloud-based, the tools provide a holistic view of your business operations, from up-to-the-minute to a yearly overview. 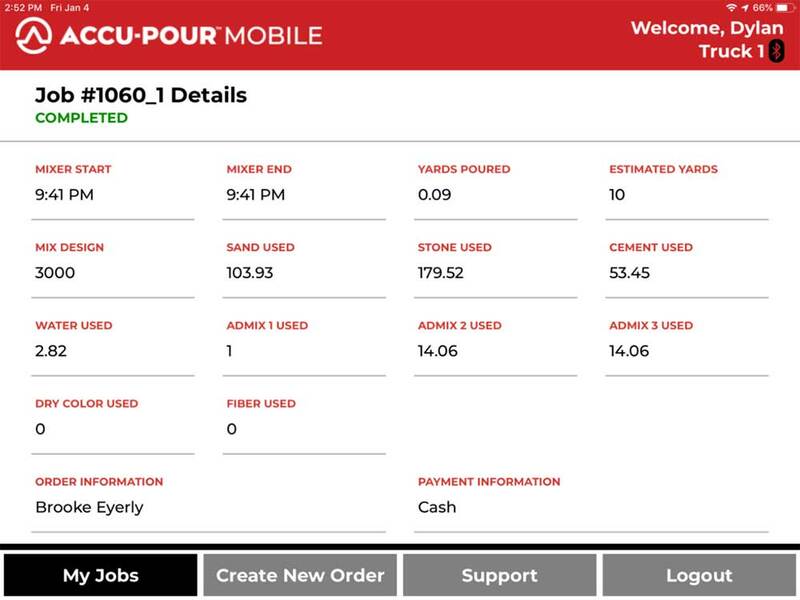 Blend the big picture together with everyday details and gain complete control over your concrete through ACCU-POUR. Traditionally, telematics have only allowed information to flow in one-direction – from the unit back to the office. 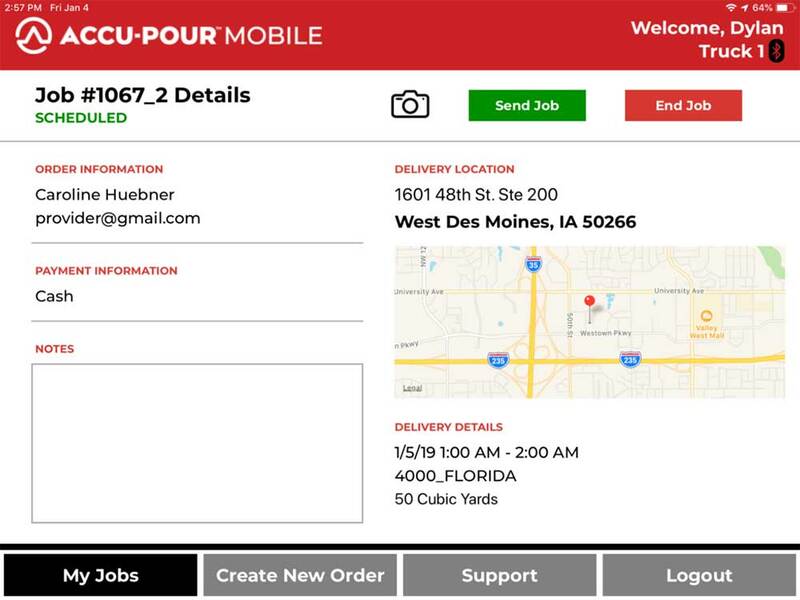 With Accu-Pour, information will also flow from the office to the unit. 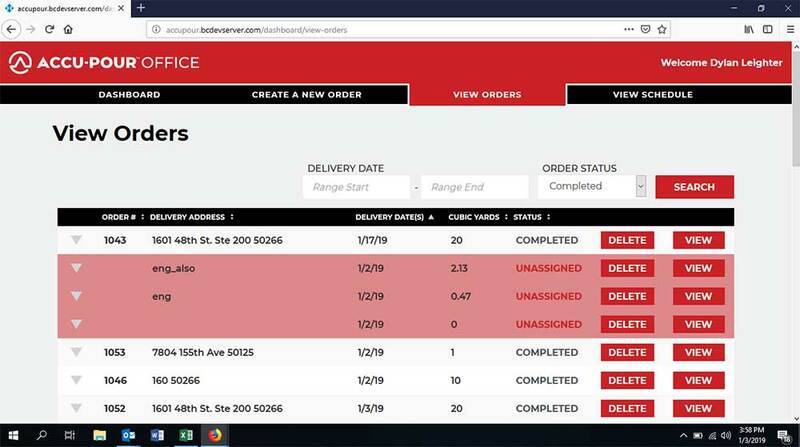 Dispatch will have the ability to create an order with a required mix design and assign it to a mixer. 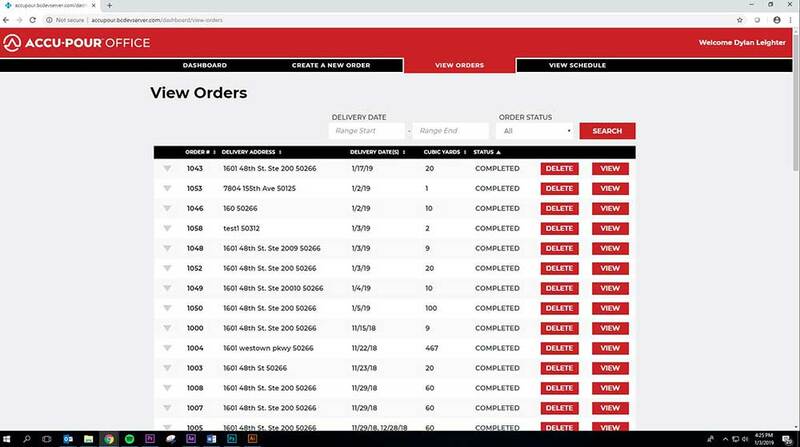 Once the mixer is on site, the assigned mix design and order details will be synced with the mixer. Completed pour information and any deviations from the original order will immediately be sent back to the office at the end of the pour. 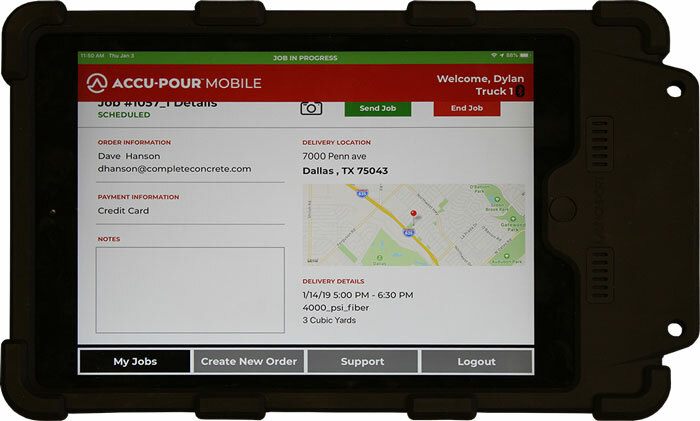 Thanks to a nearly endless stream of real-time data, ACCU-POUR acts as a robust business partner day in and day out. This partner presents known and unknown information, allowing you to control and run the business based on current and precise data. But analysis isn’t limited to real-time as all data can be custom exported to many popular accounting programs, including QuickBooks, Viewpoint, and Wave. 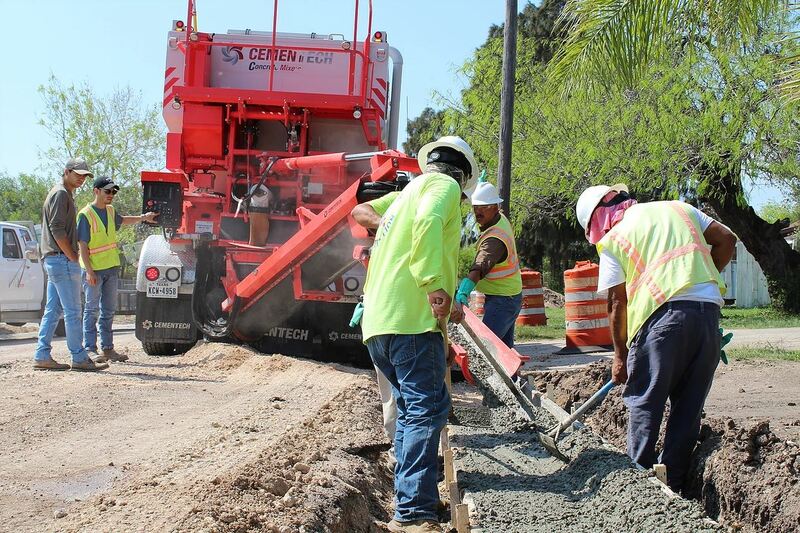 Being able to send more than one volumetric concrete mixer to the same job would cut down duplications and save time later spent untangling a mess, wouldn’t it? 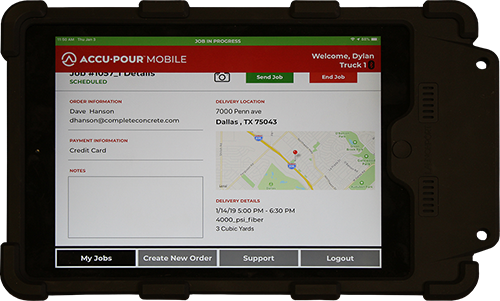 ACCU-POUR simplifies assignments and orders by allowing you to create one order then divide it into multiple jobs. 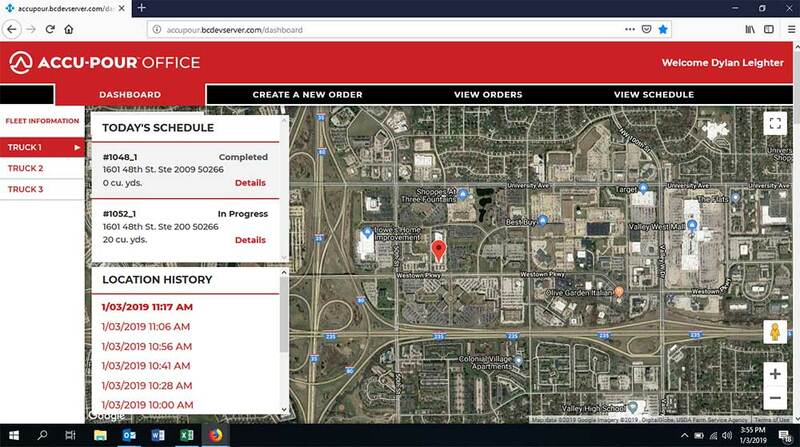 With smart scheduling, you’ll know where your fleet is at any time, where they’re headed next, and if adjustments are needed before the next job begins. 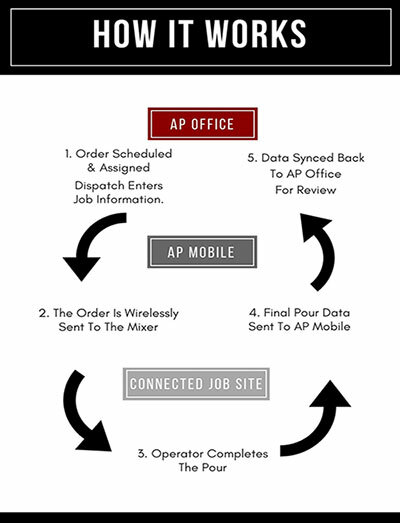 For customers with existing units they will need an on-site installation by Cemen Tech Service Technicians; new mixers ordered with AP Office and AP Mobile will have the hardware on it when delivered. 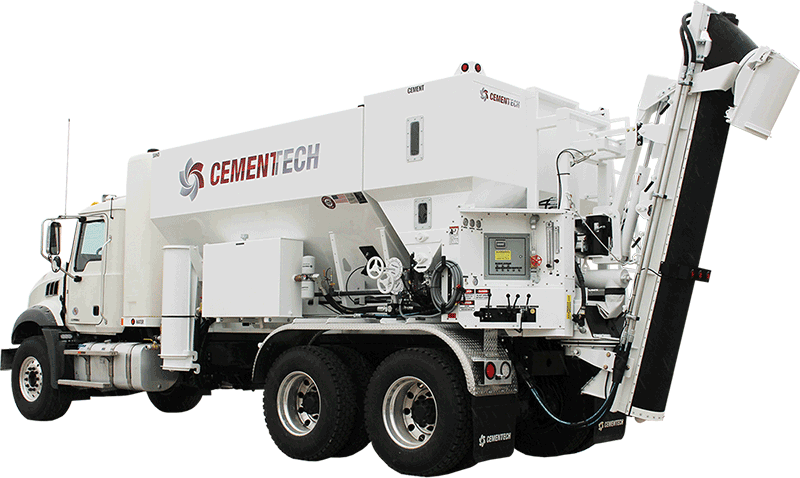 I Have An Older Concrete Mixer — Can I Still Use ACCU-POUR? While ACCU-POUR is optimized for C Series units, it also has compatibility with M Series units or other comparable volumetric mixers. 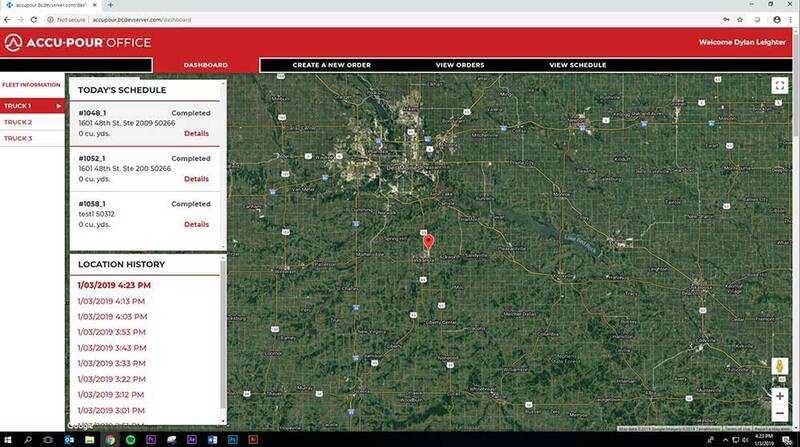 The goal is to help concrete operators and producers streamline operations and increase revenues by providing a full mixer fleet solution.